How much of your physical ailment is due to emotional stress, and what can you do about it? When it comes to taking back our power over health and well-being, some of the most exciting research comes from epigenetics and energy medicine. Epigenetics looks at the many factors that influence the expression of genes, including our thoughts and emotions. Many modalities of energy healing help us shift our thoughts and emotions so that we can positively influence our gene expression, leading to swifter healing. One of those modalities is Emotional Freedom Technique (EFT). 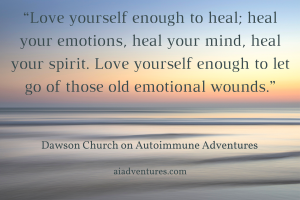 Dawson Church joins me on this episode to talk about how EFT actually works to provide benefit with many physical ailments, including autoimmune disorders. Epigenetics influences us in every moment, and the environment, including emotions from present and past traumas, has an immediate impact on how our bodies respond at the level of our genes. EFT helps us quickly dissipate the emotion. Dawson leads a short exercise similar to EFT to help experience this shift with a recent difficult memory. 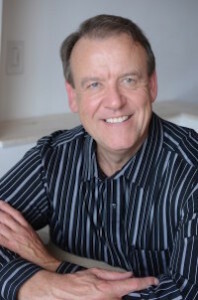 Dawson Church, PhD, is an award-winning author whose best-selling book, The Genie in Your Genes, has been hailed by reviewers as a breakthrough in our understanding of the link between emotions and genetics. He founded the National Institute for Integrative Healthcare to study and implement promising evidence-based psychological and medical techniques. His groundbreaking research has been published in prestigious scientific journals. He is the editor of Energy Psychology: Theory, Research, & Treatment, a peer-reviewed professional journal, a blogger for the Huffington Post, and a reviewer for the APA’s Mental Health Mobile Phone Application Review Database. He shares how to apply the breakthroughs of energy psychology to health and athletic performance through EFT Universe, one of the largest alternative medicine sites on the web. Five minute .mp3 of the exercise Dawson leads us through toward the end of the call. EFT Mini-Manual: Basic instructions on how to do the Emotional Freedom Technique so you can get started right away. If you would like to receive these gifts, sign up for the free AI Adventures Club by entering your email address on the form on the top right of the page, or by clicking here! If you’re already a member, then go to the gift page and enter the password. biology, emotions, energy, epigenetics, stress relief. Bookmark. 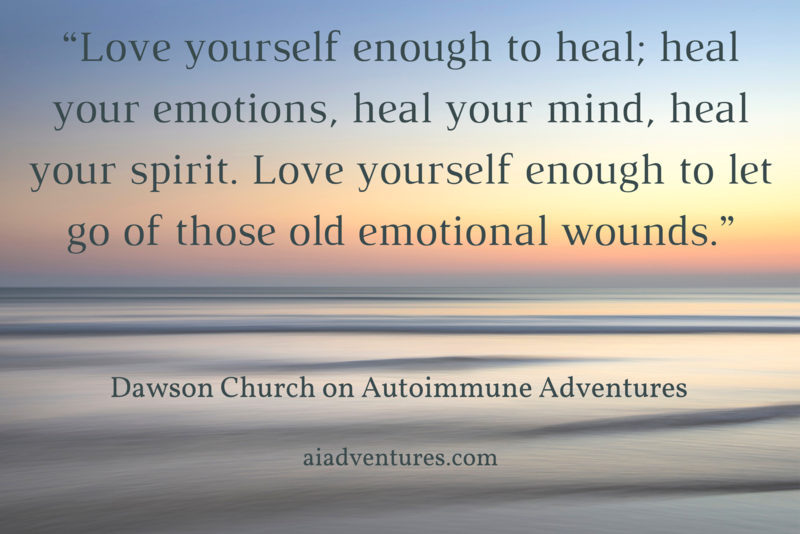 I would love to add a link to this well-described brightly clear interview with Dawson Church. The precise interview questions offered an excellent venue in understanding the role stress plays in the expression of our genes and how EFT is so effective at reducing stressful reactions. Can you please let me know the process to be able to post a link on my website, guiding others to listen? Thank You! Thanks for your kind words Suzanne. You are most welcome to post a link to the page on your website – easiest would be to simply copy the URL for this page and add it as a link as you normally would link to another page on your website. If you’d like to use the quote photo, let me know and I can email it to you. I appreciate your interest and support in spreading the word about this interview and the podcast.